Formed in 1999 Tim O’Brien ACA is a small accountancy practice with a client base of approximately 300 personal and business clients. We specialise in Tax, both business and personal and Tim O’Brien has been instrumental in changing government legislation through his detailed knowledge and industry experience. This knowledge and respect has helped us to retain clients and develop the practice organically through many referrals. We have recently undertaken a major restructure of the practice in order to provide a service to our clients that matches their e-commerce needs, and can now perform a majority of our services electronically without the need for clients to interrupt their daily life in order to ‘meet the accountant’. As part of this restructure we have introduced a payroll bureau service for small businesses and a ‘quick tax’ service for self assessment, both being performed electronically. We are committed to enhancing our services whilst maintaining an informal approach to our client relationships which is fundamental to our business. Technology can play a key part in taking the pressure out of dealing with your financial matters. 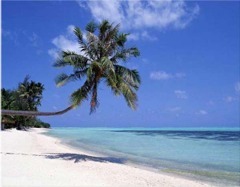 Why not relax on the beach and drop us the occasional eMail while we sort out all your Tax demands.